← 3 events down, 7 more to go! Tonight, the 5th night of our Birthday Fund Drive, we invite members of our Community Supported Bookshop program to attend a free wine and cheese reception, with cheese provided by The Cheese Guy. 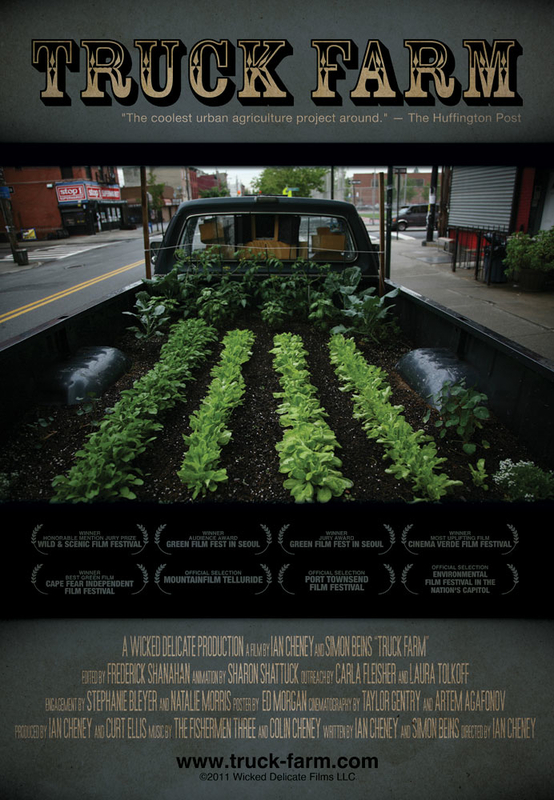 We’ll be screening Truck Farm, a documentary that shows that, with a bit of determination and resourcefulness, you can grow food in unlikely places—a little like this bookstore we know . . . Current CSB members can attend for free. If you have been meaning to join the CSB, tonight is a great excuse! Come tonight and join, and help us grow this place. If you cannot attend but would like to donate, please do so here. Keep us growing! Ian Cheney runs Wicked Delicate, a documentary film and advocacy project in Brooklyn. He co-created and starred in the Peabody-winning PBS documentary King Corn, directed the Sundance Channel documentary The Greening of Southie and co-produced the Planet Green documentary Big River. Ian earned Bachelor’s and Master’s degrees from Yale University, where he helped create the Yale Sustainable Food Project. With longtime collaborator Curt Ellis, Ian is a founder of FoodCorps, a new national school garden program launching in August, 2011. They deliver frequent talks on agriculture and the environment. Ian’s newest feature documentary, The City Dark, is premiering in competition at the 2011 South by Southwest Film Festival. Simon Beins is a Brooklyn-based performer and composer who tours regularly throughout the US and Europe and has released records on both continents. With his band the Wowz, he composed the scores for the Peabody Award-winning King Corn (2007), Kansas vs. Darwin (2007), and Big River (2009). His music also appears in the Zach Galifianakis feature film It’s Kind of a Funny Story (2010). In addition to co-writing and scoring Truck Farm, Simon scored the forthcoming feature documentary The City Dark. This entry was posted in Anniverary and tagged books, bookshop, bookstore, childrens, community, dominican, english, espanol, events, fiction, inwood, neighborhood, new york, new york city, newyork, newyorkcity, nyc, russian, sale, spanish, uptown, used books, washington heights, word up, word up books, wordup, wordupbooks. Bookmark the permalink.